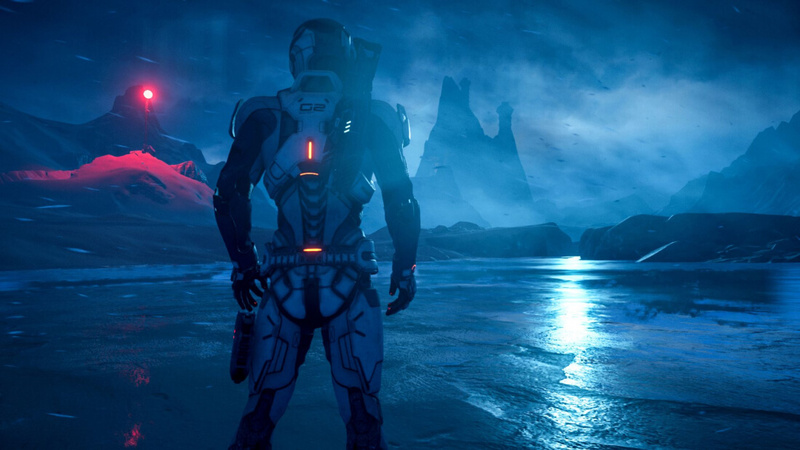 BioWare will be releasing Patch 1.05 for Mass Effect: Andromeda this Thursday. The patch will address many complaints that players have had since the game launched on March 21, but it is only just the beginning. Since Mass Effect: Andromeda launched, complaints of bugs and performance issues have plagued the game. Problems with the game range from distracting to game breaking. For example, occasionally unconscious squad members will slide across the ground and through rocks and terrain before standing up. This bug is distracting and ruins emersion. There are also places where the player's character can get permanently stuck, such as between two boulders. There is no mechanism in place to fix such situations other than reloading a previous save, which could be quite a bit of game loss. Such scenarios tend to be game-breaking for most players. Although the notes did not mention specifics regarding collisions, perhaps getting stuck between rocks will be one of the issues that will be addressed. Patch 1.05 will look at some of the more noticeable and complained about problems. The patch notes indicate that developers are increasing the number of inventory slots. Larger backpacks are almost always welcome in any game. One issue that has received much attention in the forums is the fact that the cut scenes when traveling between planets are not skippable. At first, it is not bad, but after 30 hours of gameplay, the scenes start to wear on the nerves. Patch 1.05 will make the travel scenes skippable. Another highly talked about issue is the lip syncing and facial animations. It is not uncommon for an NPC’s lips to continue moving for a full sentence beyond what is audibly spoken. According to BioWare, localized voice over, including facial acting and lip syncing will be improved. One improvement coming is a more advanced character creation tool. While the character creation in Andromeda is comparable to previous games in the franchise, it seems lacking considering the options and control that other games such as The Elder Scrolls Online give players. Mass Effect 3 launched in 2012. There is no excuse that the character creation tool saw virtually no improvement between now and then. Oddly enough, a hotly debated issue with Mass Effect: Andromeda has been the lack of gay interactions for players playing as Scott. The LBGTQ community was somewhat excited to hear that BioWare was including male-on-male romantic encounters. However, they were taken aback to find that there were only two possibilities available. If that was not enough, the game has a trophy for triggering three romantic encounters. So reaching the achievement is not even possible for those playing the game as a gay male. There were also complaints that Scott’s scenes with other men were brief and not as engaging as the straight and lesbian scenes. It is unknown whether BioWare’s improved romance options will address either of these points, but at least acknowledgment of the issue shows that they are listening to the community. While Mass Effect: Andromeda has had its share of problems, it looks like BioWare is right on top of them and is working hard to fix them. Often it is hard for a game to come back from a negative reception, but it looks like developers are going to try their best to make things right.